Who has five fingers and loves kickass rock vacations? We do! We wanna send a Z-Rocker from Minnesota to sunny San Diego with tickets and meet 'n greets to see Five Finger Death Punch, Breaking Benjamin, and many more on Wednesday, July 25th at the Mattress Firm Amphitheater in Chula Vista, Ca. ! To win, listen afternoons at 5 to Jordan. 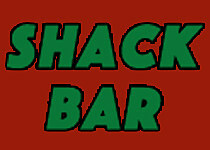 Shack Bar offers a fun bright exciting environment with cheery staff! Connected to a hair salon, our bar is where looking good is understood and feeling great is appreciated. We are located at 211 N. Main St., Suite 101 in Dover.